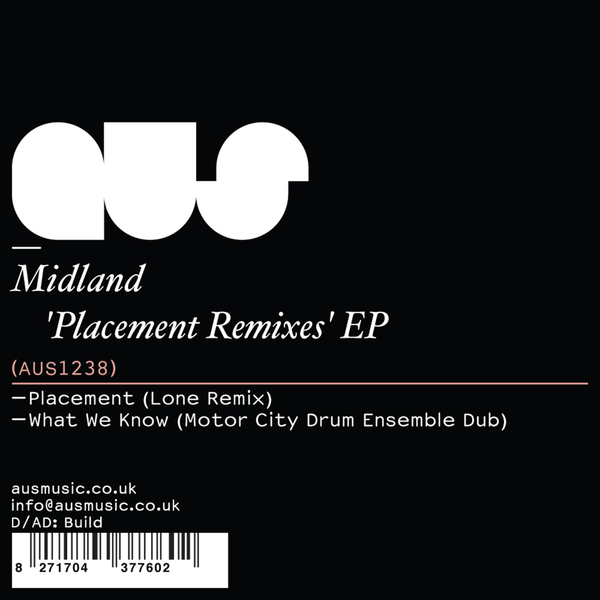 Lone and Motor City Drum Ensemble are tasked with remixing tracks from Midland's superb 'Placement' EP for Aus Music. Riding a wave of adulation for his recent 'Galaxy Gardens' LP, Lone bends the square bass of 'Placement' into gloopy, offset shapes under fizzing carnival percussion and fluttering synth licks like BoC gone Balearic on the A-side. B-side Danilo Plessow aka MCDE turns 'What We Know' into a roiling Detroit killer, burning up a hulking bassline with cracked and frazzled drum machines and the fattest, stabbing chords. Dancefloor pleasure guaranteed!